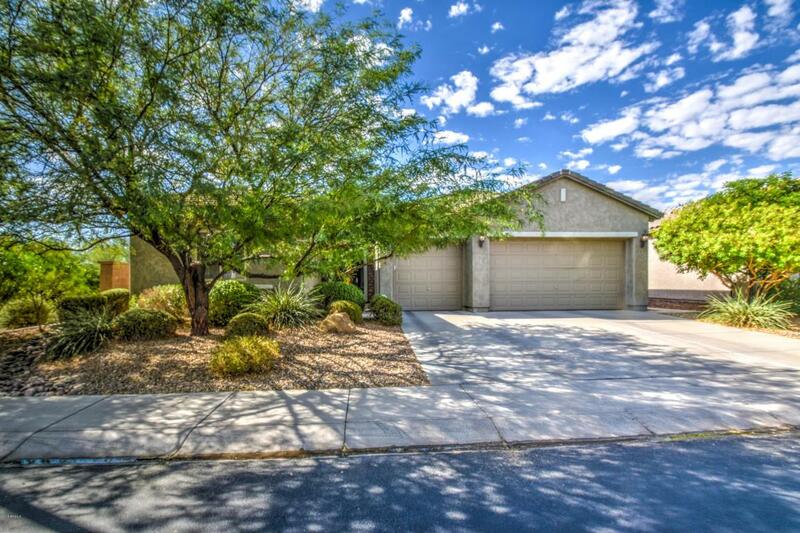 Welcome home to this beautiful split bedroom home with spacious 3 car garage, gas fireplace & N/S exposure in Anthem at Merrill Ranch! 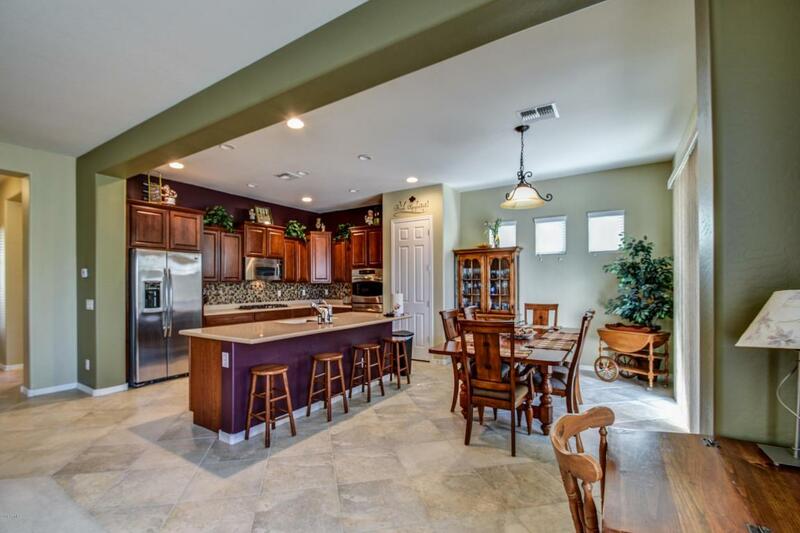 Wonderful kitchen has double ovens, 5 burner gas cook top, tile backsplash, stainless steel appliances, staggered cherry cabinets with crown molding, recessed lighting, water softener, pantry, island breakfast bar. 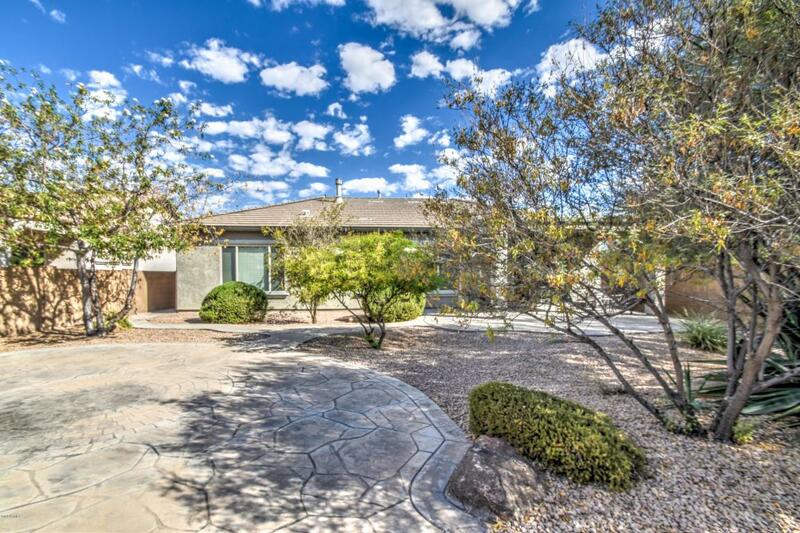 Open and spacious area includes dining area and family room with gas fireplace. Master suite has roomy walk in closet, bath has separate toilet room, double sinks with vanity, glass shower, & garden tub. Rear covered patio with stamped concrete, ceiling fan & walkway with gate. Enjoy the laundry chores with extra counter space and lots of cabinets. Save Money, the Town of Florence Bond is Paid in Full on this Home!Live in a resort in Anthem at Merrill Ranch and enjoy the waterpark, lap pool with diving well, workout facility, tennis, golf, pickleball, soccer fields, sand volleyball, softball fields, walking trails, dog park, catch and release fishing, playgrounds, the Anthem Grille Restaurant and much more! 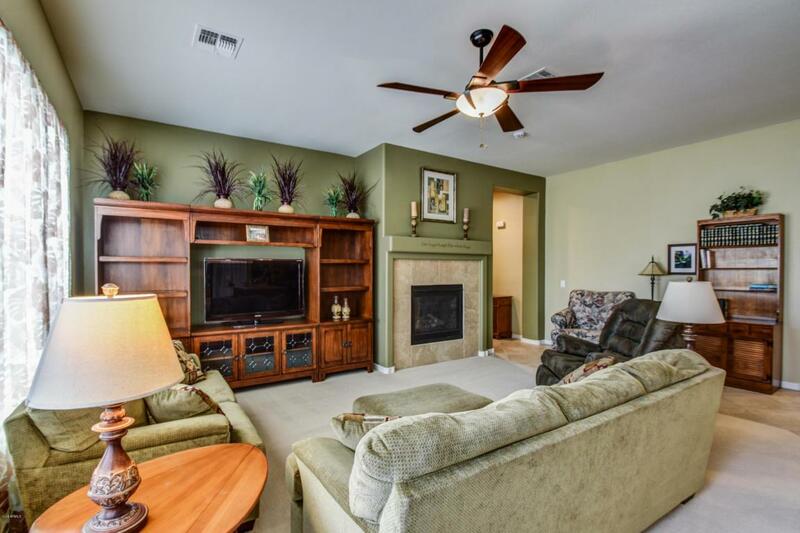 HOA fees include common area maintenance, amenities and resident golf rates.